University of Canterbury, New Zealand. Sub-contracted for the Research Project: "Lessons learned from Christchurch" (Project leader B. Bradley, Civil and Natural Resources Engineering), 2014. Marsden Fund (Principal investigator S. Ellis, GNS, New-Zealand): "Sticky or creepy: What causes abrupt changes in seismic behavior along subduction plate boundaries?" in co-operation with researchers from GNS and NIWA (New Zealand), University of Texas (Austin), Penn State University and University of Cape Town, 2012. University of Otago, New Zealand. EQC Project 08/547: "Assessing seismic hazard from compressional inversion structures, NW South Island, New Zealand" (Project leader R.H. Sibson), 2008-2009. ETH, Zurich, Switzerland. "Structural Analysis of the Ostler Fault, New Zealand, 2008-2010. Tohoku and Kyoto Universities, Japan. "Assessing seismic hazard from compressional inversion structures, Murchison Basin, New Zealand" 2008-2010. University of Catania, Italy. 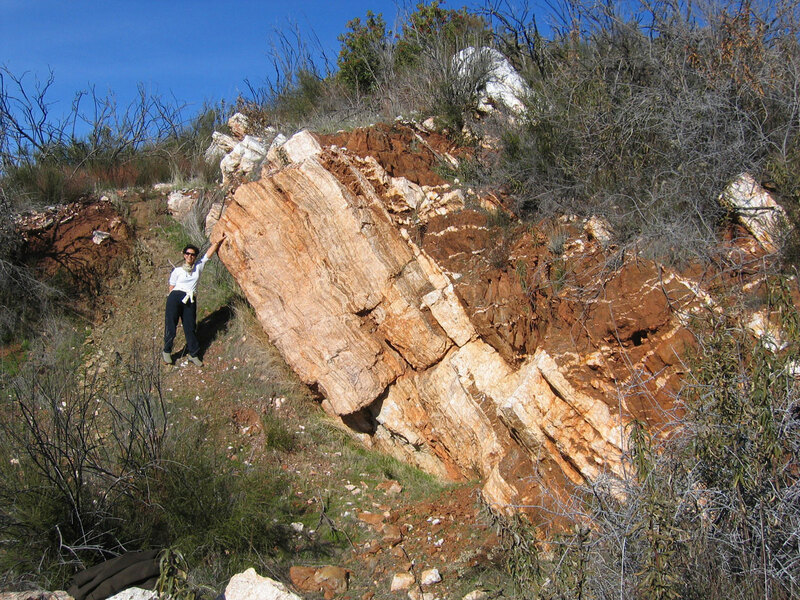 Deformation at the outer front of the Gela nappe, Sicily, 2007-2008. University of Torino, Italy. Geologic-Tectonic Map of the Central-Southern Apennines,Italy, 2006-2010. Institute of Geological and Nuclear Sciences, New Zealand. Compressional fault inversion in the NW South Island, New Zealand, 2004. Institut Francais du Petrole, Paris France, DGLab-European Community Project, Corinth, Greece,2000-2002. University of Saint Louis, USA, Stable isotope sampling in deformed systems of the central Apennines, 2000-2001. Visiting Scientist, University of Washington, Seattle, U.S.A., 1996. Visiting Scientist, Rice University, Houston, U.S.A., 1993 and 1995. Visiting Scientist, Southern California Earthquake Center, 1991. Structural analysis and reconstruction of the evolution of Hikurangi subduction thrusting as part of the collaborative research project "Sticky or creepy: What causes abrupt changes in seismic behaviour along subduction plate boundaries?" supported by the Marsden Fund grant awarded in October 2012. Project leader S. Ellis, IGNS. Geological and structural mapping of the Nelson-Richmond urban area, South Island New Zealand Collaborative Project with M. Johnston and P. Wopereis, supported by the Tasman District Coucil. Definition of a 3D structural and stratigraphic model for the Canterbury region aimed at defining seismic wave propagation at multiple length scales for analyses of broadband ground motion and shallow site response during earthquakes. Collaborative Project "Lessons learned from Christchurch", University of Canterbury. Project leader B. Bradley. Short course (4th year) on construction and interpretation of subsurface geological models using MOVE (Midland Valley), with application to the Castle Hill Basin. Tutorial activity and supervision of final dissertations, geological mapping and structural research for undergraduate and graduate students in Geology. Post-graduate Course, Utrecht University,HTP Lab “Fault reactivation, active deformation and seismicity in New Zealand: examples from the West Coast, Canterbury, Taranaki and East Coast basins”. Post-graduate Course, Torino University “Faults, fractures and fluids”. Post-graduate Course, Perugia University, “Structural controls on fluid circulation in the Apennines”.